Hardwood floors are refinished in Bedroom & vinyl plank in living room. Comes with stove & refrigerator. Also there is central Heat & Cooling big +++ Super cute 1 bedroom unit. Has nice Living room & kitchen--4 rooms in all. Full bath.Every thing seperate. Just no yard for outside pets. 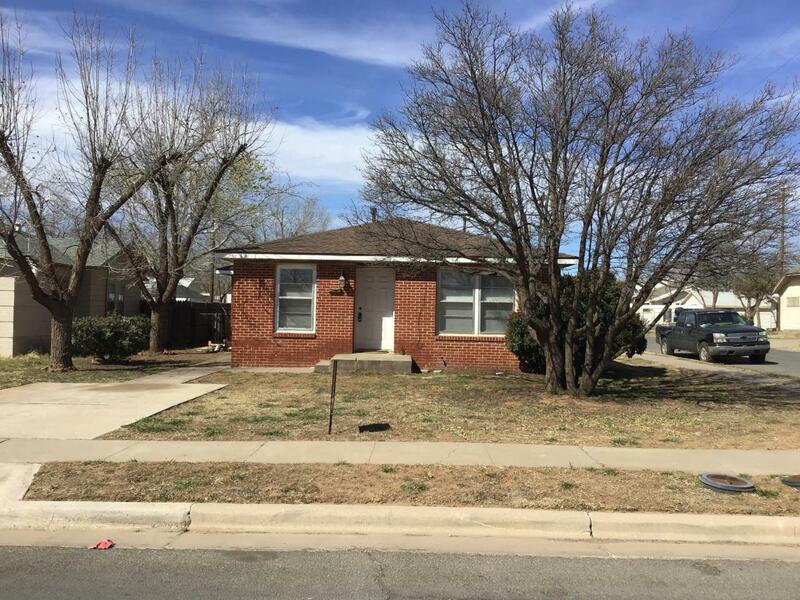 Please call your realtor or Rent806.com 806-793-8759 for showings 1 Year lease Rent includes yard mowing. Listing provided courtesy of Celeste Patterson of 806Sales.Com. Listing information © 2019 Lubbock Association of REALTORS® MLS.